Arsene Wenger has confirmed that he will leave Arsenal at the end of this season, bringing an end to a 22-year stay in North London. The Frenchman still has a year remaining on his current contract and his decision, while it had been demanded by many Gunners fans in recent years, will come as a huge surprise to many. 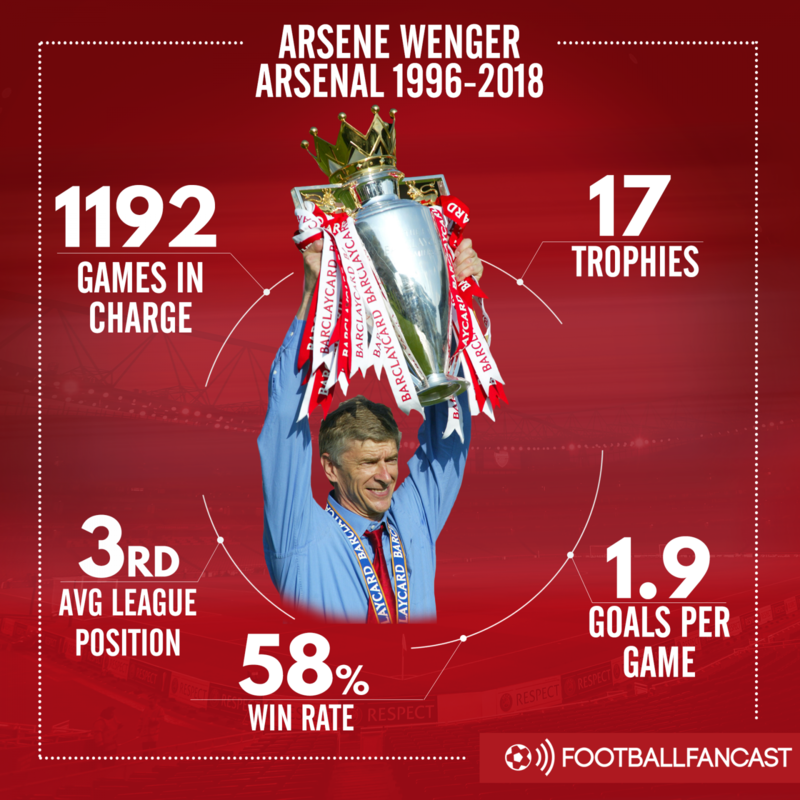 Wenger won three Premier League titles and seven FA Cups, including the Double in 1998 and 2002, and famously oversaw Arsenal’s unbeaten Invincible season in 03/04.